The SNPA Project is moving on with preparing its larger tenders and one important element of the project is the renovation and upgrade of some of the administrative and rangers buildings and houses for the parks which are supported by the project. It is an aim of the project (and this approach is also supported by the KfW development Bank who provides the funds for the project) to use ecological sound building materials (e.g. insulation of natural material such as wood, windows made of wood rather than plastic, green roofs in case of flat roof constructions etc.) but also use technologies which allow a low and efficient consumption of energy. Renovations will be made to use day-light effectively but also solar panels for energy and hot water provision etc. Another principle of the project is to use existing building infrastructure (where this is possible) and conduct renovations and upgrade instead of building new houses and support traditional architectural approaches. The project’s architect Jan Hülsemann has already visited several target parks of the SNPA project in autumn 2017 and has prepared the first draft plans for renovations. 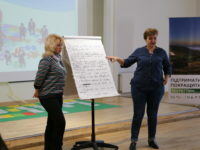 To better and visibly explain the architectural approach of the project representatives of the eight SNPA target parks have visited a the Fagaras region in the neighbouring Romanian Carpathians to explore how such plans might look in real terms. Architect Hülseman there has designed wildlife hides and guesthouses for visitors and tourists in a large conservation area but also a larger seminar house with a green roof and almost built with a purely natural material. For two days the park representatives explored the buildings in details and could discuss technical and engineering questions with the architect, also about the plans for the planned renovations in their parks. 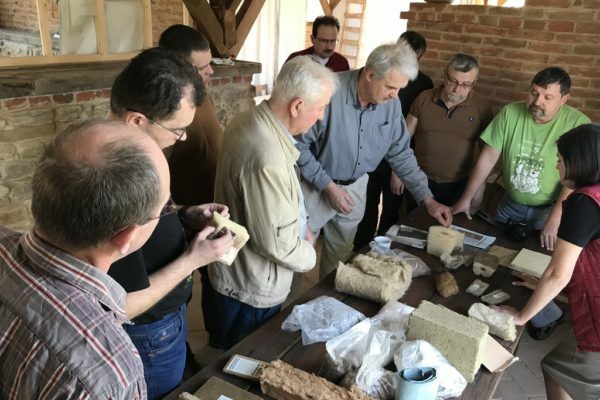 “We got acquainted with the works of restoration of ancient Saxon buildings and were impressed that they not only got their original appearance but were restored taking into account the most modern technologies and modern needs in terms of the comfort of living. Jan used exclusively natural materials for such works, which he offers to use for our reserve and other areas of the project. I introduced the project proposal for the renovation of our central manor in Rakhiv to the administration of the reserve and it’s impressive. 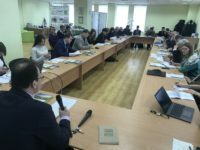 We are looking forward to its implementation, “- shared the impressions of the trip Vasyl Pokynchereda, Deputy Head of the Scientific-Research and Sustainable Development Department of the CBR. Please keep following the news and announcements of tenders in this area of the project.